One of our recent education landscape projects successfully completed in time for the start of the academic year. 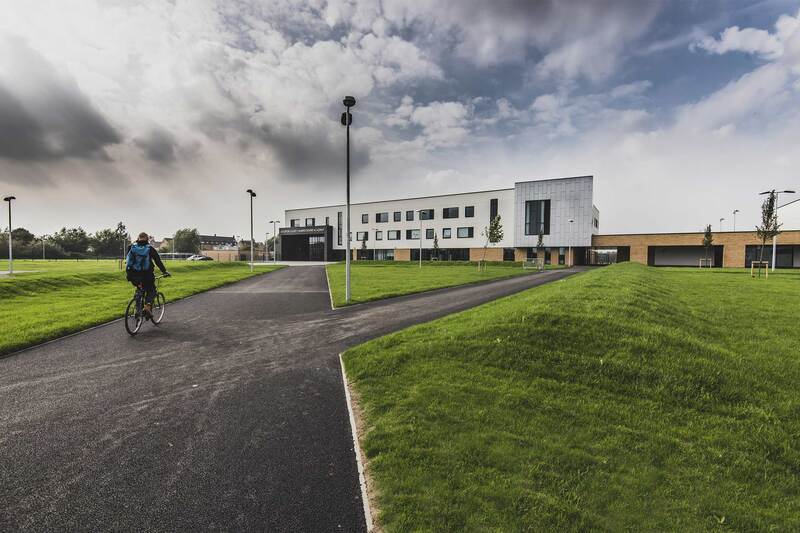 Littleport ‘co-located’ Schools, consisting of early years, SEN, and Secondary with sixth form, opened in September. With a total budget of £39.5 million the project also included an integrated community sports centre. Working with construction contractors Morgan Sindall and architects Atkins, WWA designed all hard and soft landscape for the site. To ensure successful establishment of the combined school and community sports pitches, we collaborated with Agrostis, specialist agronomists. This meant that the resulting pitches could withstand the demands of dual use. This project was our first opportunity to implement BIM design methods up to level 2 compliance. In addition, we contributed to the creation of 5D BIM information, allowing for greater accuracy in cost calculations. Another particularly rewarding aspect of the project was finding design solutions that work for user groups across such a diverse age range. We look forward to applying these skills to other projects in the future.